Our Premium water softener series offer city water softener and well water softener. For well water softener a special resin is used to improve the end result of the well application. Water softener ending in FM are well water softener. Please choose the model accordingly for best soft water results. Well water softener are design to increase the removal rate of iron and manganese as well as hardness found in well water application. How to Choose a Water Softener Presentation: This presentation explain in details how the water softener works, what the systems specification means and how to choose the right water softener for you application. This presentation is available in two format: html and Pdf. How to Choose a Water Softener Presentation PDF Format - Acrobat Reader Software needs to be installed in your computer. How to Choose a Water Softener Presentation HTML Format - Microsoft Internet Explorer Browser is needed to view this presentation. Design for City or Well Water, the Fleck 12 Days regeneration system give the home owner the power to control the operation cycle of the system. The control valve has an easy to use dial control numbered from 1 to 12 each number represent a 24 hr period. Regeneration of the system is set by just a push of a button. The system is also equipped with manual regeneration button. A great alternative when visitors come over. 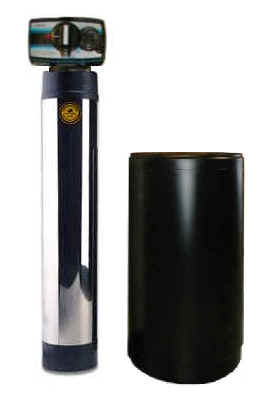 Available from 32K to 65K this water softener is your choice when simplicity is in mind. The fleck water control valve are one of the most popular valve in the market. If you are buying more than one water filter equipment, it is recommended to match the control valve in all the water filtration equipment in the application for maximum performance and simplicity. The City Water Models are equipped with Sybron Cation Resin C249 8% Crosslink resin that will stop hardness before it gets to your home. Design to fight against water contaminants. The well water softener models are equipped with fine mesh softener resin which will soft your water and will remove iron and manganese. Operation Condition For well water: Water must be coming out clear from the faucet. As a bonus feature, the 12 Days regeneration Systems have an additional Activated Carbon Filtration Stage that eliminates Chlorine, Chlorine By-Products, Trihalomethanes, Bad Test and Odor, VOC, pesticides and herbicides. The result, soft great tasting water! System includes: Resistant, Durable Tank Jacket, Resistant Brine tank with grid and safety overflow protection, Lead Free Noryl Bypass. For 3/4 pipe size application Choose the Fleck 5600 Models. For 1" and 11/2 " Application, choose the 2510 Models. City and Well Water - On Demand Electronic Models. Design for City or well Water, the Fleck metered On Demand water softener system will automatically regenerate based on the water quality and consumption. This system is ideal for growing families. Its day regeneration override, will allow for system over sizing without jeopardizing the system performance in times when families are small in size. The system can be set up to regenerate based on water consumption or day regeneration whatever comes first. A Led Status indicator displays time of day, usable capacity remaining and regeneration cycle in progress. The system also allows for immediate regeneration. 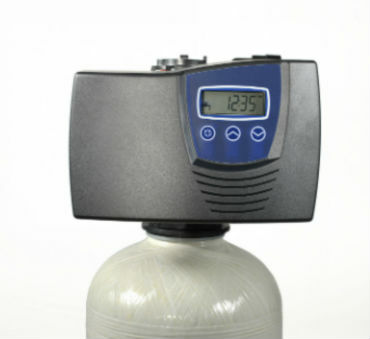 Available from 32K to 65K this water softener will give you years of conditioned water. Equipped with Sybron Cation Resin C249 8% Crosslink this water softener system will stop hardness before it gets to your home. 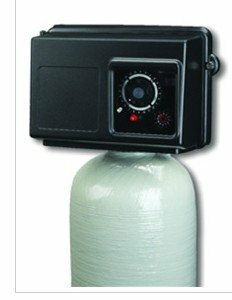 As a bonus feature, the Metered On Demand Systems have an additional Activated Carbon Filtration Stage that eliminates Chlorine, Chlorine By-Products, Trihalomethanes, Bad Test and Odor, VOC, pesticides and herbicides. The result, soft great tasting water! The Fleck 6700 Digital Control Valve is a metered on demand control valve with a solid state microprocessor. Its user friendly front panel has a LED status indicator that display time of day, usable capacity remaining and regeneration cycle in progress. 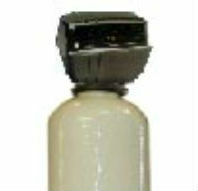 6700 Water Softener are available for city or well water. Fully adjustable downflow or upflow regeneration cycles. 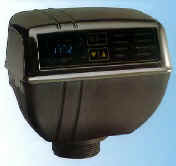 Choose from 3 modes of operation; immediate regeneration, delayed meter regeneration or delayed time clock regeneration. Backwash capacity handles tanks up to 12" diameter for softener applications, 10" for filter applications. High impact UV stable, flame retardant polycarbonate protective hood is pressure sealed for added protection against moisture, dust and dirt. Standard 9V alkaline battery backup. The Fleck 7000SXT Water Softener is design for city or well water with large water flow requirements. With up to 35 GPM, the system is recommended for household that have larger than 1 inch pipes. The on-demand fixture allows for regeneration based on water consumption. Also a day override is available. This system comes with a 1 1/4 inch bypass. The FM Models are loaded with fine mesh softener resin which is design specifically for well water application. The fine mesh resin will help with iron and manganese reduction in addition to hardness removal. 7000SXT Water Softener are available for city or well water.